4 HOUR $29.99 AND 8 HOUR $49.99 ONLINE VIDEO COURSES — LEADING INTERNATIONAL PROVIDER OF ONLINE ANGER MANAGEMENT COURSES–based in Jacksonville, Florida’s–Anger Management in Online, Group, Class and Face to Face Formats. Call us today if you need court ordered anger management or your place of employment or your spouse has recommended or referred you to participate in anger management. Our courses are fast, efficient, and informative. We invite you to contact us today at 904-379-8094. 2018 Update: Instantly receive access code in email upon payment, and then instantly and automatically receive Anger Management Certificate of Completion for your specific course (4 or 8 Hour) once the final quiz has been completed. It’s that easy! We offer individualized treatment for anger management and will be offering group treatment for anger management in the future. 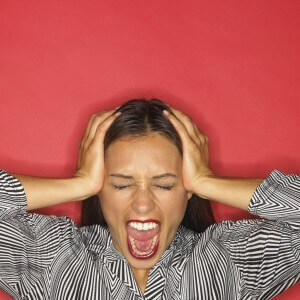 Please contact our office at 904-379-8094 if you are interested in anger management services. We offer help for disruptive physicians, disruptive employees, disruptive lawyers, and for other disruptive professionals. We provide emergent on-site interventions and consultations for your most difficult employees. Flexible treatment plans are available at our Jacksonville, Florida office based on your specific needs. We are available to assist you and your employees. Call us today! 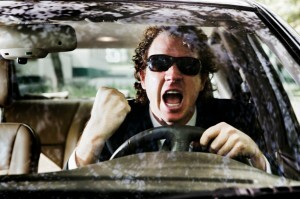 You don’t need a car to get road rage. Researchers say the concept of “sidewalk rage” is real. One scientist has even developed a Pedestrian Aggressiveness Syndrome Scale to map out how people express their fury. At its most extreme, sidewalk rage can signal a psychiatric condition known as “intermittent explosive disorder,” researchers say. On Facebook, there’s a group called “I Secretly Want to Punch Slow Walking People in the Back of the Head” that boasts nearly 15,000 members. On sidewalks across America, slow-paced foot shufflers, window gawkers and photo snappers are causing fellow pedestrians to lose their cool. We ask some New Yorkers what pushes their buttons — at least the ones who stopped long enough to talk to us. WSJ’s Shirley Wang reports. Signs of a sidewalk rager include muttering or bumping into others; uncaringly hogging a walking lane; and acting in a hostile manner by staring, giving a “mean face” or approaching others too closely, says Leon James, a psychology professor at the University of Hawaii who studies pedestrian and driver aggression. “A lot of us have ‘shoulds’ in our head,” says Dr. Deffenbacher. Ragers tend to think people should do things their way, and get angry because the slow walkers are breaking the rules of civility. It’s unclear exactly why some people harbor such beliefs, Dr. Deffenbacher says. Such ways of thinking are generally learned from family, friends or the media, he adds. Ragers’ thoughts tend to be overly negative, over-generalized and blown out of proportion, leaving them fuming about how they can’t stand the situation, how late they are going to be, and how this always comes up, Dr. Deffenbacher says. In contrast, someone blissfully free of sidewalk rage may still be frustrated, but thinks more accepting thoughts such as, “this is the way life is sometimes” or, “I wish that slow person wasn’t in front of me,” he says. Some ragers say that thinking insulting thoughts about other pedestrians serves as “mental venting”—and makes them feel better. Even if it does provide some momentary relief, such thinking rehearses bad behavior and can make anger a more automatic reaction to these situations, says Dr. James. “When you’re emotionally upset, you’re impaired,” says Dr. James. He should know. He used to be a very aggressive walker as he vied with swarms of tourists for space on the crowded streets of Honolulu, he says. He would square his shoulders and walk straight ahead, bumping into people and thinking it was his right; he was the one walking properly. But his wife repeatedly called him an aggressive walker, he says. Finally, she convinced him. Now he tries to walk around people rather than into them, he says. And he says he feels guilty when he does succumb to the urge to barge through. Psychologists say that the best thing for a rager to do is to calm down. Anger, after all, is associated with a host of negative health consequences, including heart problems and high blood pressure. But calming down isn’t always easy. Those at the extreme end of the rage continuum, sidewalk or otherwise, may have intermittent explosive disorder, a condition characterized by an inability to inhibit aggressive impulses that lead to assault or destruction of property, according to the Diagnostic and Statistical Manual of Mental Disorders, psychiatry’s bible of diagnoses. If friends or family comment on your anger, or you think you need to tell someone how to walk—however politely—you may have a problem, says Dr. James, who devised the Pedestrian Aggressiveness Syndrome Scale. It outlines 15 bad pedestrian behaviors featured in Dr. James’s research based on questionnaires and interviews. Although the scale hasn’t been statistically verified, he says anyone who engages in one of these behaviors regularly may give in to the others as well. Many anger-management treatments haven’t been studied thoroughly enough to show whether they work. One type shown to be effective, cognitive-behavioral therapy, seeks to alter thoughts and actions by coming up with alternative ways to view a situation. 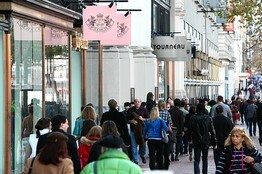 For instance, instead of thinking about how much of an idiot the pedestrian is and how he shouldn’t be allowed on the sidewalk, imagine the person is lost or confused, or simply doesn’t see you, says Eric Dahlen, a psychology professor at the University of Southern Mississippi in Hattiesburg who researches anger, aggression and traffic psychology. Developing strategies to quell the rage may be wise: Sidewalks aren’t getting any less crowded, and pedestrian speeds, research shows, are slipping as the population ages. In addition, most people on a sidewalk are in groups, and they tend to walk side-by-side or in an outward-opening V-shape, impeding the flow of foot traffic, according to an article published recently in PLoS One, a Public Library of Science journal. People slow down when distracted by other activities, too. A 2006 study by the City of New York and the NYC Department of City Planning showed smokers walk 2.3% slower than the average walker’s 4.27 feet per second. Tourists creep along at an 11% more-leisurely rate than the average walker, while cellphone talkers walk 1.6% slower, according to the study. Headphone wearers, by contrast, clipped along at a 9% faster rate than average. A series of studies by the University of Illinois at Urbana-Champaign using a virtual-reality simulator found that walkers consistently slow down when they talk on their phones, and that kids and older adults are more likely to get hit by cars while on the phone compared with those who weren’t on the phone. 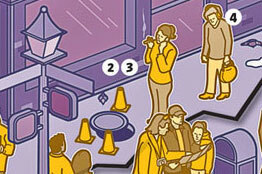 So, how best to navigate around speed-challenged strollers? Most people tend to look down as they walk. That’s a mistake, says Mehdi Moussaid, a cognitive scientist at the University of Toulouse who models walkers’ behavior on public sidewalks and was an author of the PLoS One study. Some of his advice: Look up and take a wide-angle view to catch openings and slip through. Online Anger Management is also offered to residents in Canada, England, Ireland, New Zealand, and Australia.